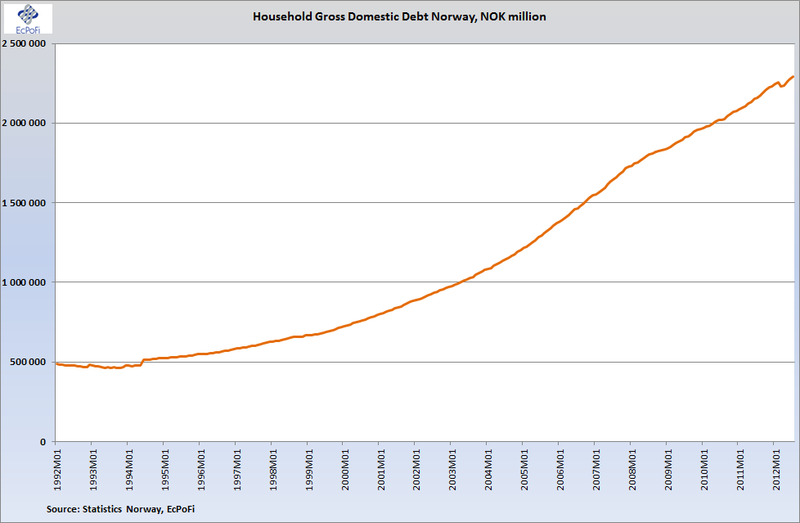 EcPoFi - Economics, Politics, Finance: Classic debt-fueled housing bubble taking shape in Norway? 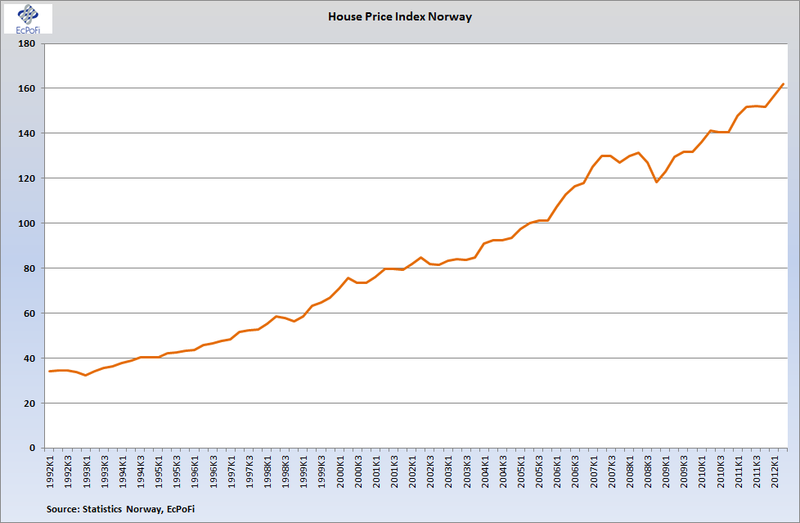 Classic debt-fueled housing bubble taking shape in Norway? 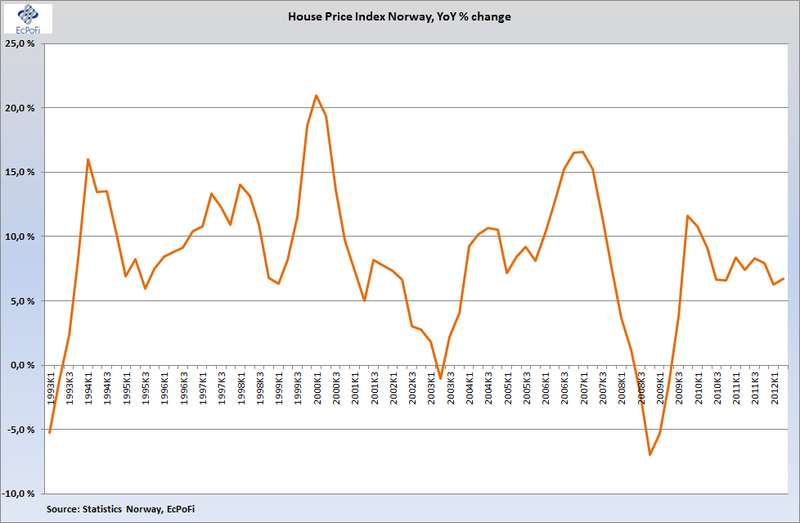 In an article in dn.no a few days ago, Jan F. Qvigstad, deputy chairman of Norges Bank (the central bank of Norway), seems bemused as to why inflation in Norway remains relatively low and dn.no presents the low inflation figures (as measured by the CPI) as a "mystery". 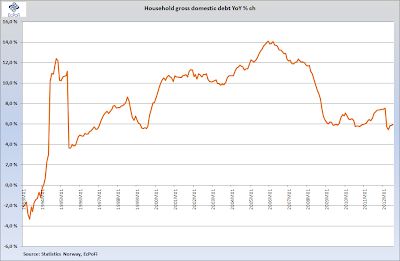 Haven't we heard that story before somewhere (hint: the U.S. a few years ago)?. Well, it's no mystery. 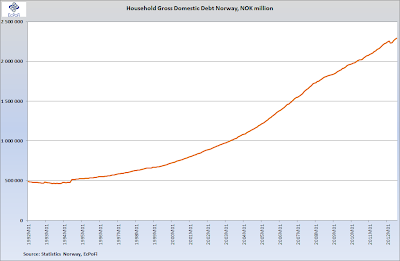 When money supply keeps expanding (see here), when the key policy rate is at 1.5% (see here) and when households take on increasing amounts of debt (see below), the increasing amount of money ultimately drives prices up somewhere in the economy. 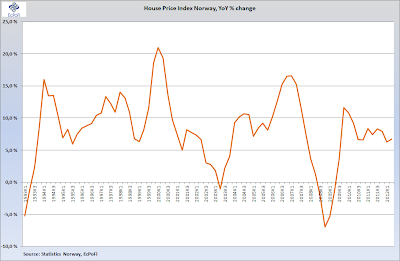 In the case of Norway, that somewhere is house prices. 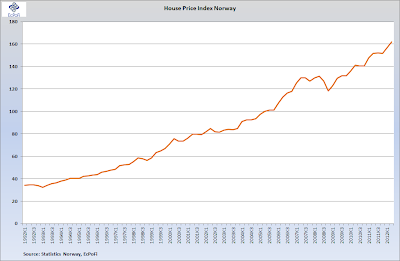 Looking at the charts below, there are good reasons to be worried about a classic debt-fueled housing bubble brewing in Norway. 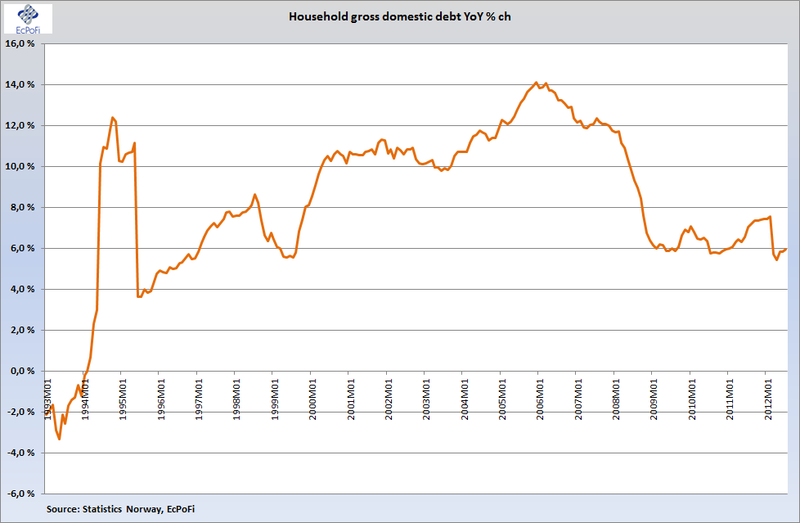 Low interest rates will normally create a bubble somewhere as explained by the Austrian Business Cycle Theory.